Surface : 43 m2 (1. floor). Surface : 39 m2 (1. floor). 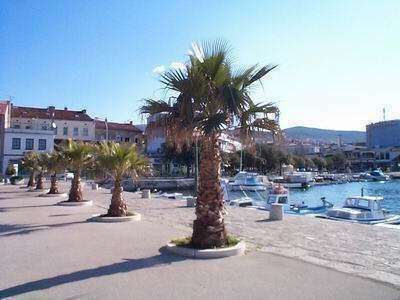 Characteristics: Air-conditioned, in silence, idyllic location, ideal for children, sea side. Price options: Tourist tax is included. Prices are the total price for building / apartment on the day. Included are: utility fees in regular ratio of consumption (electricity, water, gas), weekly change of sheets and cleaning. Children under 3 years of not using separate beds are not included. Fee per child is € 3.5 per day. The fee is payable on arrival at the agency. Air conditioning, 5 EUR per day. Using the air conditioner is charged separately For stays shorter than 4 days will be charged 30% add-on price. Check in: 14:00 pm, Check out: 10:00 am. Registration is not included. Is 5 EUR per person (Single.